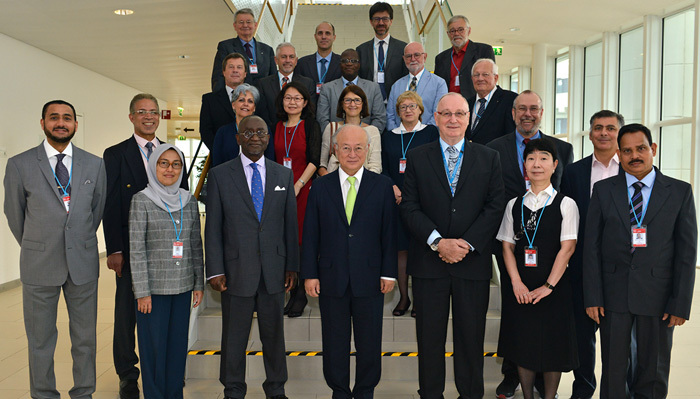 The IAEA's Standing Advisory Group for Nuclear Applications (SAGNA) advises the IAEA Director General on the Agency’s activities related to nuclear applications in food and agriculture, human health, water resources, the environment, radioisotope production and radiation technology. SAGNA has about 20 members including the Chairman who come from various backgrounds, serve in their personal capacity and are appointed by the Director General. They are recognized experts in the area of nuclear sciences and applications and are drawn from national authorities, nuclear research and technological centres, academic institutions and the nuclear industry.